The Rialto Bridge, known in Italy as Ponte di Roalto is the oldest of the four main bridges to span the Grand Canal in Venice, Italy. Serving as the divide between the districts of San Marco and San Polo, the Grand Canal was passed only by boat till a small floating bridge was built in 1181. The development and rapid growth of the Rialto market on the eastern bank placed a great deal of stress on this small floating bridge and a permanent wooden structure was built in its place in 1255. After nearly 200 years of use and constant repairs paid for by the shop owners on the bridge, the wooden bridge collapsed under the weight of a large crowd watching a boat parade. 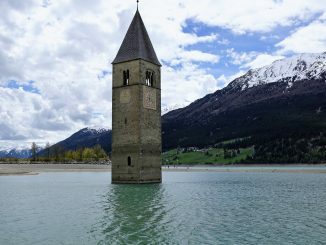 This first collapse and a subsequent in 1524 lead to the proposal of a larger stone structure that would not be damaged as severely by weather, heavy weight, or fire. 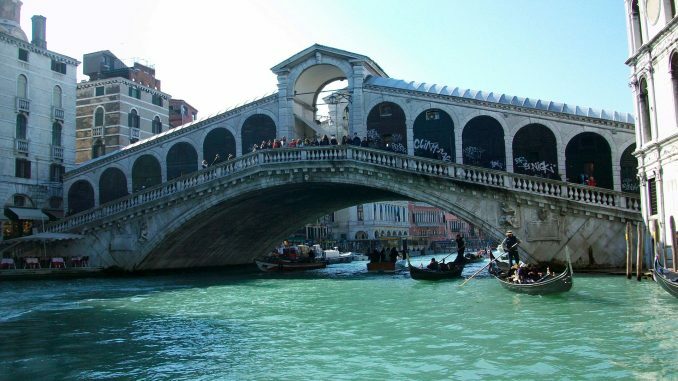 The present bridge was designed by Antonio da Ponte and was completed in 1591. Similar in its design to the wooden structure that came before it, the Rialto Bridge features two inclined ramps that lead to a central portico. The Rialto Bridge is one of the most visited sites in all of Venice and thanks to its location near public transit stops makes it necessary to move between San Marco and San Polo for many visitors. Three bridges collapsed in the same spot before the Rialto Bridge was built. The construction of the present Rialto Bridge took three years because of unstable conditions. The Rialto Bridge was completed in 1591 after three years of construction. Rialto Bridge appears thousands of paintings, most famously the Miracle of the Relic of the Cross at the Ponte di Rialto by Italian Renaissance artist Vittore Carpaccio, dating from 1496 when the bridge was still made of wood. 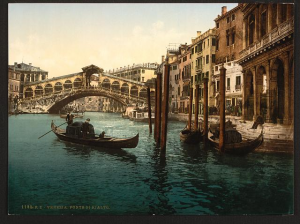 At its longest span, Rialto Bridge is 104 feet long. The bridge is also 29 feet wide and 24 feet high. The bridge is single span, which means it is anchored at each end and there is no support in the middle. 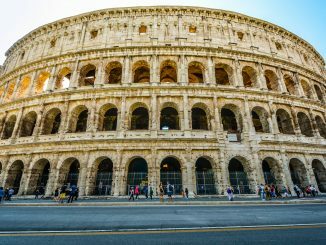 Many thought it would crumble under the weight of the marble, but it is now regarded as one of the architectural and engineering achievements of the Renaissance period. The bridge was funded, in part, by a lottery. 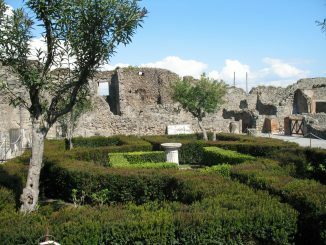 In 1590, a lottery was started to meet the costs of the bridge. Tickets went on sale for two crowns and the prize was one hundred thousand crowns. Book a hotel near a water taxi. Once you have crossed a million small bridges you’ll be thankful you did. Get lost. It’s incredibly easy to get lost and turned around in Venice so just go with it. Be careful if you are walking around the city at night (especially if you have had a few glasses of wine). There are fewer guard rails than there would be in the United States and some dark alleys end with an abrupt drop to the canals. GPS doesn’t work very well in Venice so you can’t rely on your phone for accurate directions.